Penn Dental Medicine Orthodontics Is Your Best Bet for Straighter, Healthier Teeth! Wondering what options are out there for orthodontic treatment? You might be surprised to learn about new advances in orthodontic technology. The past 20 years have brought an amazing array of alternatives to orthodontic treatment. 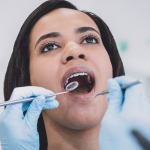 While traditional metal braces are effective and even necessary in certain cases, many of our patients want to learn more about other Penn Dental Medicine orthodontic treatments. 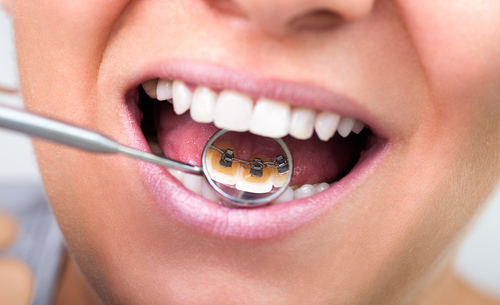 Below, see a few of our favorite “new” approaches to orthodontics. Please note that these are validated, standard treatments in the field. Just like traditional braces, clear Invisalign aligners move the teeth into correct position over time. A series of plastic aligners are created based on the patient’s impressions or digital scans. At Penn Dental Medicine, you’ll never have to take impressions because our dental school makes use of digital scanning technology. We utilize computer-aided design and manufacturing technology to develop custom-made, highly precise aligners. Every two weeks, you’ll get a new set in the mail. Wearing the aligners puts gentle pressure on the teeth so that repositioning occurs little by little. Aligners should be worn for 22 hours a day to achieve desired results within the prescribed time frame, which is about 18 months as compared to the three years required for dental braces. Over time, the teeth will reach their ideal position in the mouth. As with traditional braces, a retainer should be worn after treatment to maintain the new position. No food restrictions, as aligners are removed during eating. Plastic aligners that are custom-made for you, with no metal wires. Transparent appearance (less noticeable than other treatments). Not all orthodontists offer lingual braces because technical expertise and special training are required. However, you’ll find that our Penn Dental Medicine orthodontics department does provide this treatment. Lingual braces are placed behind the teeth, on the side of the tongue and palate, rather than the front of the tooth like traditional braces. This makes it an excellent cosmetic alternative for people who want to straighten their teeth without visible braces. Just like traditional braces, the treatment functions by applying gentle, continuous pressure on the teeth. 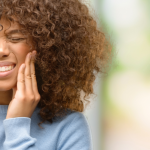 Treatment time can take between 18-36 months, depending on the severity of the bite or overcrowding. Another important advantage of lingual braces is that, like Invisalign, they offer convenience with fewer visits to the orthodontist. Because they are custom-made using the same computer-based imaging technology as described above, they do not require periodic adjustment the same way traditional braces do. 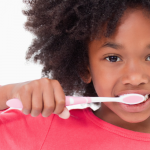 Lower likelihood of accidents that will break the braces (because they’re on the inside of the mouth). This is especially relevant for athletes in contact sports. One of the greatest benefits you’ll enjoy when you visit Penn Dental Medicine is our discounted rates on orthodontic treatment, an important deciding factor for many families. 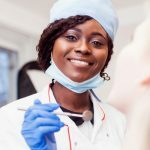 Because students at the University of Pennsylvania School of Dental Medicine administer the treatment under the guidance of experienced professionals, we are able to offer orthodontic care at a lower cost to patients. Whether you choose lingual braces, Invisalign, or traditional braces, PDM can provide the treatment for less. To schedule your orthodontic evaluation, please call us at 215-898-8965 today!